There are two types of second degree S-A block: In Type I (Wenckeback) there is a progressive delay in the conduction from the sinoatrial node to the atrium until one impulse is completely blocked. 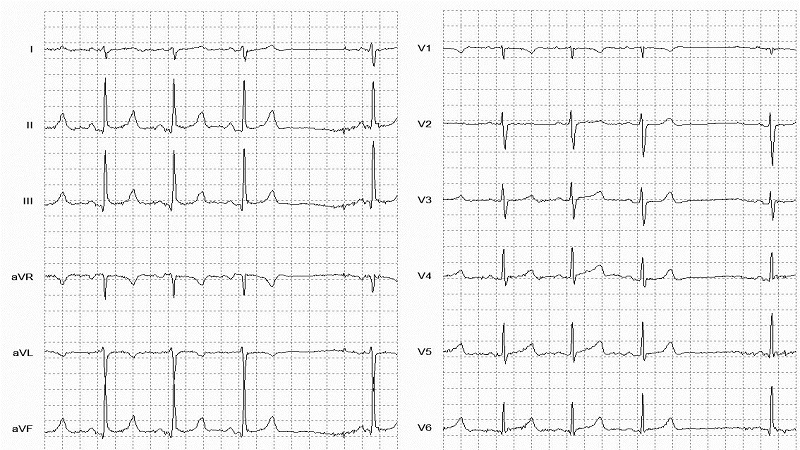 This is seen in the ECG as a progressively shortening of the PP interval before the dropped P-wave. The PQRS complexes occur in groups, with the dropped P-wave occurring at the end of each group. This is often misinterpreted as sinus arrhythmia. In Type II SA block the pattern of blocked beats is equivalent to Mobitz II (no Wenckeback pattern). There is no clustering of the PQRS complexes, and the pause surrounding the dropped P wave is an exact multiple of the preceding P-P interval.